It was about time to share with you another easy tutorial about a beauty product! A home-made soap with lavender with Glycerine and goat milk soap base. 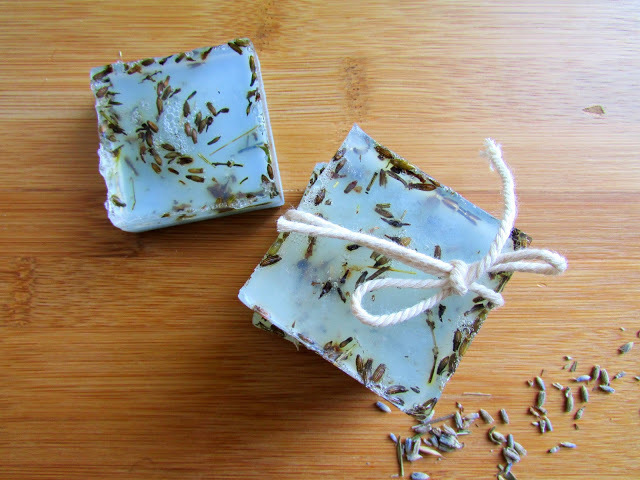 A soap that is perfect for your hands, your face, your bath! The procedure is the known… the one that we used for the Lavender and Lemon Soaps but this time we repeat it in two steps. Step 1: Use a bowl perfect for your microwave. Cut the Milk soap base in pieces and heat it for about 40secs in your microwave. It should be liquid by now but if not heat it for a few seconds more. Add the Lavender essential oil drops in your mixture and one drop of red and blue food coloring ( in order to make it purple) and stir it well. 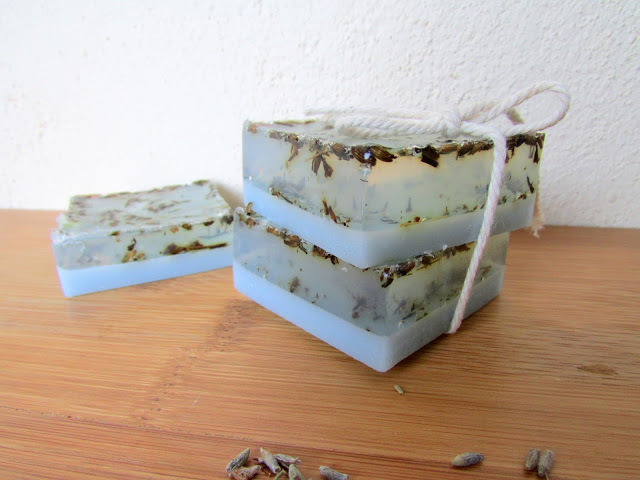 Put the mixture in the soap molds, but have in mind not to fill them, just use half of them. Step 2: Cut the Glycerine Soap base and put the pieces in a bowl perfect for microwave. Heat it again for about 40secs or more if it needed. Add the Lavender flowers and stir it. Add the second mixture on the molds and leave it to dry. 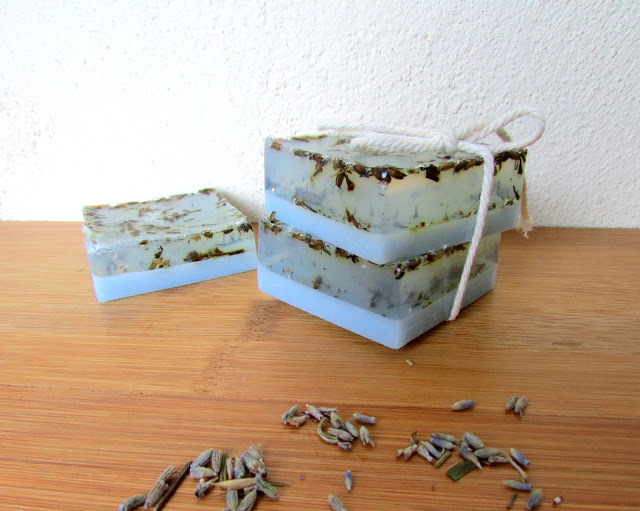 Your soaps are ready! Home made, with a great aroma and color and schema and ready to use them or to give them as gifts!